Not 1, not 2 but all 3 of these modern country music artists played at Country 2 Country earlier this year, and here they all were, back together again to play the very prestigious Borderline in London. It was my first time at The Borderline, which is just a short walk from Tottenham Court Road, and had a great vibe. 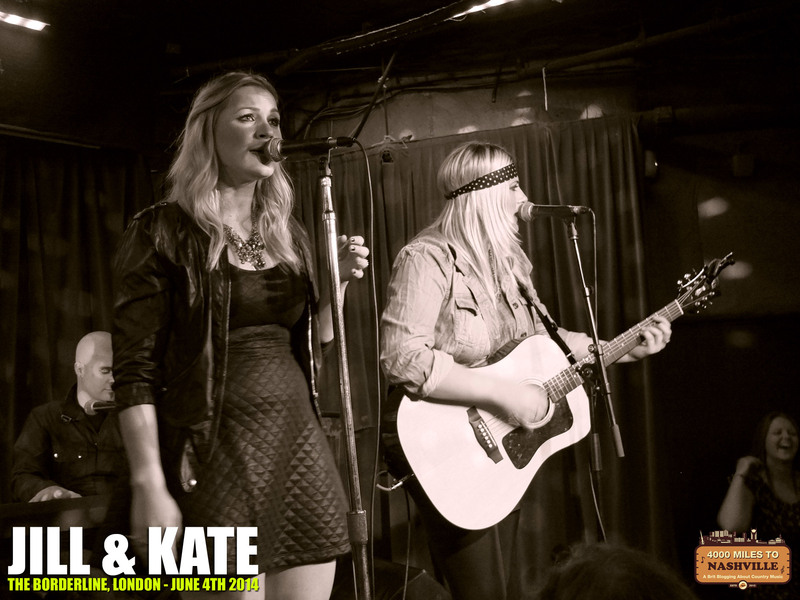 It was a four date mini-tour of the UK for Jill & Kate, who specifically chose Jeannine and Hannah after seeing them perform at Country 2 Country in March. Read through previous articles about Hannah and you’ll see an EP review and interview amongst other things, and she was the act I was most familiar with. She was on stage with her full band, and as always looked thrilled to be there, the place she feels most at home. Tonight’s set was actually different to the two I saw her play in The O2, as she played some new material that I’d not heard before. Stuck On You is a very upbeat song that had the crowd singing so loud at one point, that I’m certain Hannah had to sing louder! The other new song was called Part Of My Heart, though that may change, and is a story of first loves. I had it in mind that this would make a great single, something Hannah confirmed as a plan of hers in the sit down video interview we did – coming soon! It has a fantastic hook and as popular as 17 Again has become (over 10,000 views on YouTube), I think Part Of My Heart could be a really big breakout song for Hannah. It was a great 7 song set, which also included songs from her EP and a cover of Hey Ho, which she sings with her sister Grace. Hannah just keeps getting better, both as a singer/songwriter and as a performer. I learned a big lesson during Jeannine’s set – don’t go to the loo right before someone starts playing if you intend to take photos of an act on stage. You got it, I lost my spot, and then spent the next 20 minutes trying to get into a good position to get some good snaps of Jeannine and band! Luckily I had seen Jeannine play just 6 days earlier at The Garage in Highbury, so I knew she could sing, and the acoustics in The Borderline are even better. I wasn’t that familiar with Jeannine’s music before these two gigs, but I found myself singing along to What I Long For at The Borderline, and it’s been in my head ever since – that’s the mark of a great song. I’m not sure during which song it was, but at one point the mic failed – such is the power of Jeannine’s voice! A new mic was soon brought out and it was back to business! Jeannine is a class act on stage, but I feel sure there’s a sassy side just waiting to burst out, and I want to be there when that happens! In case you didn’t know, Jill & Kate spent 6 years as backing singers for Kelly Clarkson, so they should be able to sing live, and boy can they ever. They also had quite the rabid pack of fans, who cheered their every word, something Kate both cottoned onto and played on, to the delight of that very crowd. Charming and funny, with Jill on guitar and piano, and Kate on lead vocals and mandolin, this is one very talented duo that seem to have made the right decision to go it alone. They played hits from their catalogue, as well as from their new acoustic covers album. One such number was ROAR by Katy Perry, which is a song I don’t mind, but every time I’ve seen Katy sing live it’s been somewhat of a disaster. To that end it was quite refreshing to hear a Katy Perry song performed live, and sound good, really good! The crowd went bonkers for Since You Were Gone and I was delighted they played my own personal favourite: Skinny Jeans. They sang for over an hour and when they went off I actually thought that was that, but they came back on for a two song encore, including the very moving Hey Bartender. Hannah, Jeannine, Jill and Kate, aside from sounding like the register at a girl’s school, all sounded fantastic and put on a great show to entertain all of us in attendance. I’d be very surprised if the audience didn’t go away both bigger fans of everyone’s music and keen to see them all live again soon. 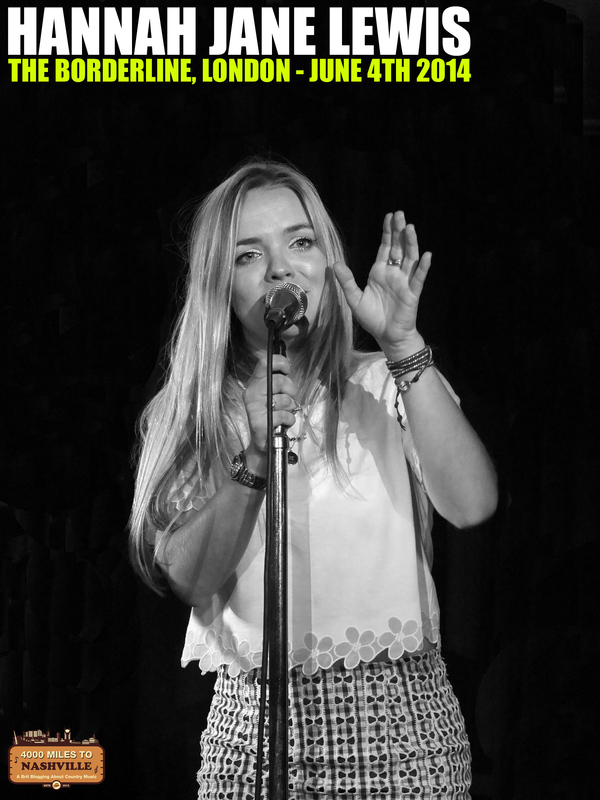 The Borderline is a venue rich in musical history, and all three acts did it proud. 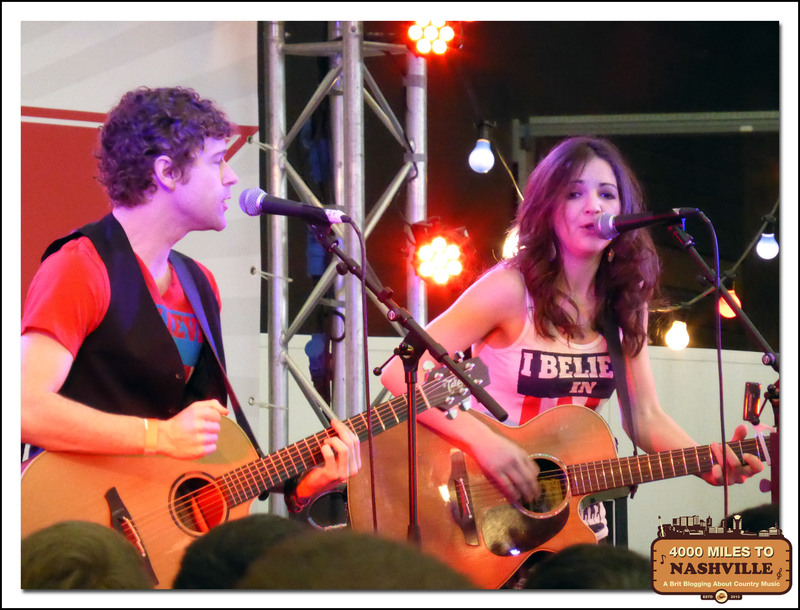 CMAFest may be going on in Nashville right now, but on Wednesday we had our own mini version right here in London. This time last week I was is enjoying the second day of Country 2 Country, just getting ready to watch Striking Matches, to be precise at the time of writing this. So here I am 7 days later, and what effect, if any, has attending Country 2 Country had on me? While it was the main stage acts that I paid to see, given that the pop up stage acts were free to all, it may be somewhat surprising that it’s those pop up stage acts that have left thew biggest impact on me. There’s no denying I was blown away by the likes Brad Paisley, Dierks Bentley and the Dixie Chicks, but it’s not these juggernauts of country music that have occupied my mind this past week. Over the course of the two days I saw quite a few acts on the pop up stages, and it brought to my attention just how much talent there is, right here in the UK. Of the 28 acts that were on offer, I saw just 8, and 6 of those ply their trade in the UK and you can read about the ones I did see here. Thanks to Twitter, Facebook and YouTube I’ve caught up with a lot more of the acts that performed last weekend, and without fail have been bowled over by just how good they are. The homegrown country music scene is bursting full of great signers, songwriters and musicians – they just need more exposure. I’ve found myself listening to and watching a ton of performances, both new and old, from acts I saw and those who I missed out on too. It’s one thing to watch videos on YouTube, after all, that seems to be how the new generation consume music these days anyway, but what next? It hasn’t stopped there for me though, as I’ve also been looking at live dates, to see if I can watch as many of these acts in person as I can. I met the band Dexeter last weekend and have been listening to their EP this week, with a view of going up to the Midlands to see them perform. Being in North Hertfordshire it won’t be the longest drive know to man, but would I have considered it had Country 2 Country not crossed out paths – probably not. Closer to home Lisa Redford is performing at the music shop I frequent for Record Store Day, just 3 miles from my house. How could I not to go to that? Thing is, had I not seen her at Country 2 Country last Sunday I wouldn’t have known who she was, and probably wouldn’t have gone, no matter how close it is to me. Ward Thomas are a band that played last weekend, and though I didn’t see them, I became more aware of them, and just this morning listened to them on Radio 2. Now I am keen to buy their EP when it comes out in April and see them live at the next opportunity. Gary Quinn is someone I knew of before Country 2 Country, and since seeing him live, where I really enjoyed his set, we have chatted on Twitter and I have bought a ticket to see him perform a StageIt show. I’d never even signed up to StageIt before he announced his gig, but what a great way for fans to see live music without travelling to locations that are too far away. It has cost me just $5 which equates to £3.03 for a 30 minute set – a veritable bargain I’m sure you’ll agree. Hannah Jane Lewis is someone whose music I knew the best before Country 2 Country, and I reviewed her self titled EP here. It was however Country 2 Country that gave me the opportunity to see her perform, twice, and now know she’s every bit as good live as she is on her EP. As such I’m considering going to see her play this coming Wednesday at The Water Rats Theatre. This is a venue that just happens to be near Kings Cross, which is the station the train from my town goes to, and at £5 it’s almost too tempting to resist. If I get over my cough, yeah poor me, then I will do just that. She has another gig in London the month after, so either way I’ll get the chance to see her perform again, and maybe grab an interview too if I’m lucky. If we are talking non UK talent then Jill and Kate have a mini UK tour in June and will be playing The Bordereline in London – another gig from a Country 2 Country artist that I am strongly considering going to. Just a few hours after I wrote this it was announced that the aforementioned Hannah Jane Lewis would be supporting Jill & Kate – 2 pop up stage acts appearing on the same night! Tickets are available here. Of course there are also Striking Matches who I hadn’t even heard of before last weekend, wowed me, have just signed a record deal and will release an album later this year. I’ve since bought their EP and single on iTunes and will be first in the queue to get the album, along with everyone else who saw them. So struck with the quality of the pop up stage acts, I have even been having thoughts of organising a festival to showcase all this talent as I want as many people as possible to experience the great music I have discovered. I’m not sure how that will happen and I think it might be better on the hands of the guys at UKCountryMusic.net, whose promotions guy Andy I have been pestering with the idea of a UKCMFest relentlessly! These are just a few, there is a thriving country music scene in the UK, and that’s something that I only recently had my eyes opened to thanks to the Country 2 Country pop up stages. Imagine if every other country music fan in the UK knew about all these great acts too – how long before we’d hear more of them on the radio, see more of them on tour, and see more of their albums in shops? I’ve taken it upon myself to spread the word as much as possible about the great talent on offer – so expect more posts, more tweets and more Facebook updates about these acts in the coming weeks and months. It’s pretty exciting that I can see so much great country music in my own country, all year round. 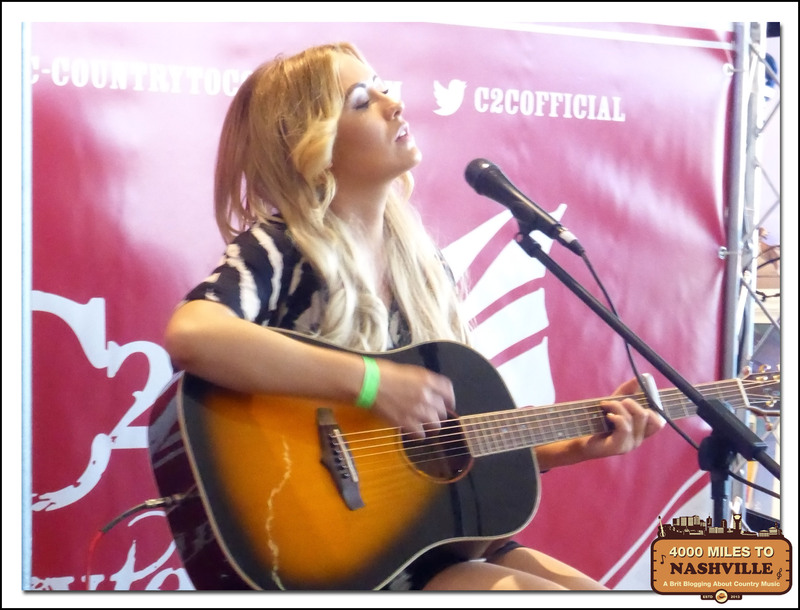 Last year I went to just the Sunday of Country 2 Country and didn’t realise there would be pop stage acts. This year I went for the whole weekend and scheduled what pop up acts I wanted to see – no seriously, an actual schedule, look! I did keep pretty much to that schedule, with a few exceptions, and even added in a few more performances I hadn’t planned for. On Saturday night I managed a mighty 2.5 hours of sleep, and adrenaline saw me through Sunday, but to say it was one of the greatest weekends of my life would in no way be hyperbole or exaggeration. 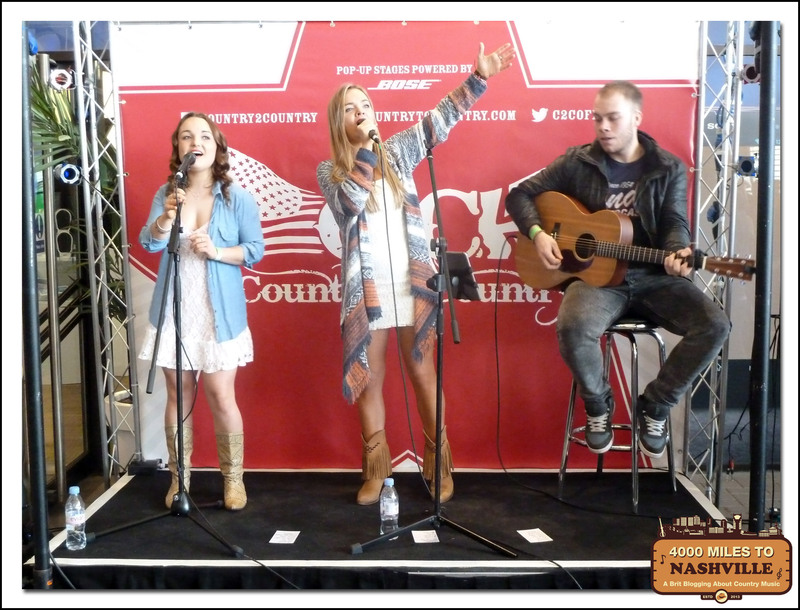 If you’ve never been to Country 2 Country, you’ve never seen The O2 transformed into a mini Nashville, with a market area for traders and food stalls, but more importantly 4 pop up stages placed throughout the complex. These stages played host to 28 acts from all over the world and in many respects were the heart of the weekend, providing countless number of highlights. It was great to see Maria Byrne who I’d been in contact with before the festival, and who brought a change of pace with her folk/country songs and impromptu joke session. I caught Emma Jade mid Sunday afternoon, and though suffering with a sore throat, that didn’t stop her performing songs such as The Dixie Chicks’ Travelling Soldiers that two girls near me had requested numerous times the night before, when the actual Dixie Chicks were playing. With Jill and Kate we got Christmas in March, and I even got my song request played when they sung Skinny Jeans, just for me, as they’d never play one of their most popular songs without me tweeting them, right? 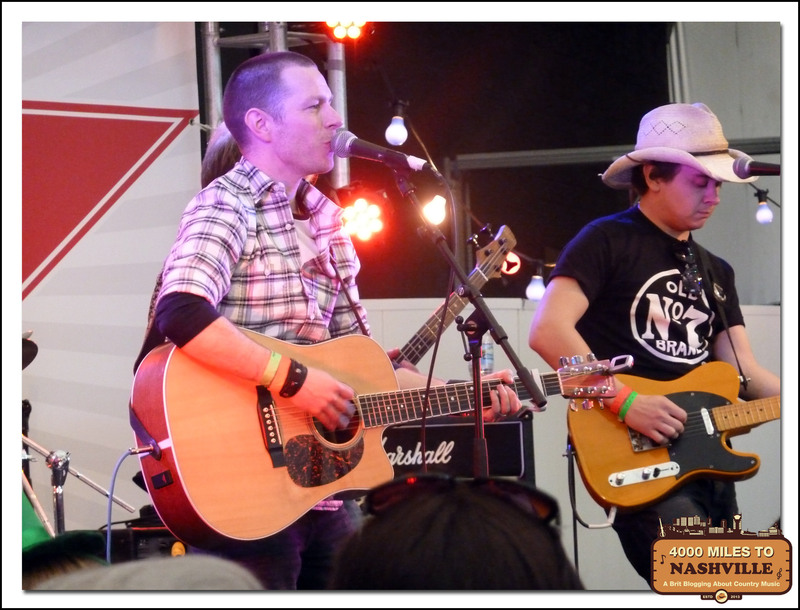 What these pop up stages did showcase is what a hotbed of country music talent there is right here in the UK. As well as those already mentioned I finally got to see Gary Quinn and Raintown, though the latter only for one song as I turned up too late to a massively packed out Brooklyn Bowl Stage. That one song was enough to make me want to see them again, and I caught most of Gary’s set on Sunday, and saw a guy who I immediately wanted to see performing on an outside stage in the sun. Great songs, great voice and entertaining throughout. Then there was Lisa Redford who caught my attention as I was walking past the Armadillo Stage, so much so that I stopped and listened to her silky smooth vocals and forgot about where I had intended to go. All that’s really just the tip of the iceberg of what was going on, but without cloning myself there’s no way I could experience it all. I do have to point out that astonishingly, all these pop stage acts were free to anyone who came to The O2 over the weekend. That’s free as in no charge, as in it cost not one penny to see these incredible singers, songwriters and musicians perform. Just ponder that thought for a few moments. Amazing, right? I will be doing some individual reviews of some of pop up stage acts I saw, and I have a bucket loads of photos to share and even a few videos too. If ever you want to experience Country 2 Country but for whatever reason can’t get tickets to see the main stage acts, you have to visit The O2 during the afternoon for the pop up stage acts – it’s almost rude not to. Credit goes to my very good friend Mark for the Striking Matches and Emma Jade photos, and also for keeping up with my crazy schedule where others fell to the wayside. 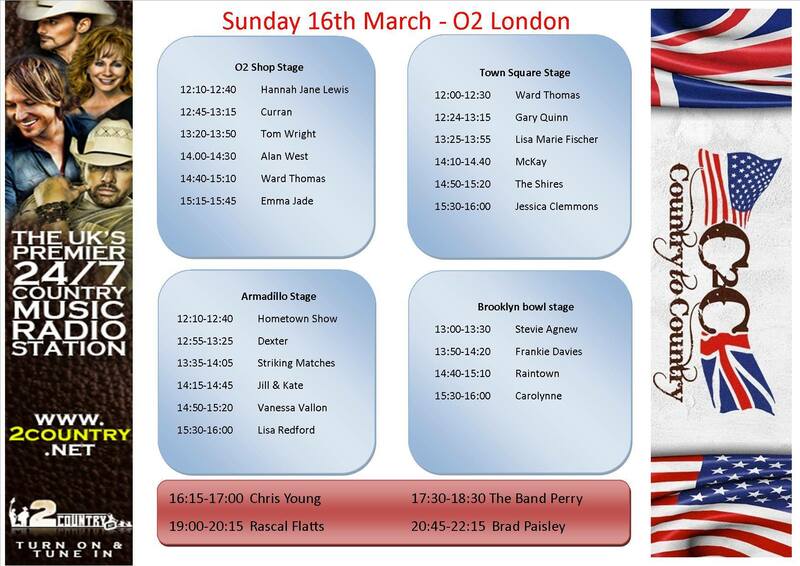 Unless you have been living under a rock you’ll know that Country 2 Country is the big weekend of country music in the UK, held annually at the O2 in London for the second time this coming weekend. But what is a pop up artist? As well as the big 4 acts from America playing in the arena each day, there are what they call pop up stages for smaller, lesser known acts to play on. These 4 stages are named to coincide with what they are near, which makes sense, be daft to name them after something in a completely different area! The fabulous 2Country.net have created these great graphics that show who is playing on each of the stages on both days. Before you look at those, do head over to 2Country.net and check out the amazing selection of country music being played 24 hours a day, 7 days a week! So, without further a do, here are six of my recommendations of people to check out, and are ones that I’ll certainly be looking out for myself. If you’ve visited this blog before then this will come as no surprise to you. I was blown away with how great Hannah’s EP sounds and I’ll actually be trying my best to see her twice. She’s with her full band on the Saturday, after which I’ll have to run like Usain Bolt to get to my seat in time for Martina McBride, and then on the Sunday she’s going it alone and performing a acoustic set. In my review of her EP, I said it would be good to hear Hannah play The Worst Way acoustically – consider this my formal request for Sunday. Gary is someone who I have been aware of for a few months due to seeing him mentioned on Twitter but only in the last week or so have I been listening to his album, and actually have a review coming soon, so look out for that. Gary’s music brings a combination of modern and traditional, but most definitely country. You know I bang on about story telling in songs? Gary ticks that box, and is a great weapon to use against anyone who says people from the UK don’t get country music, as I have heard said. I’m particularly hoping to hear I Love To Watch You leave, which shows his cheeky side. 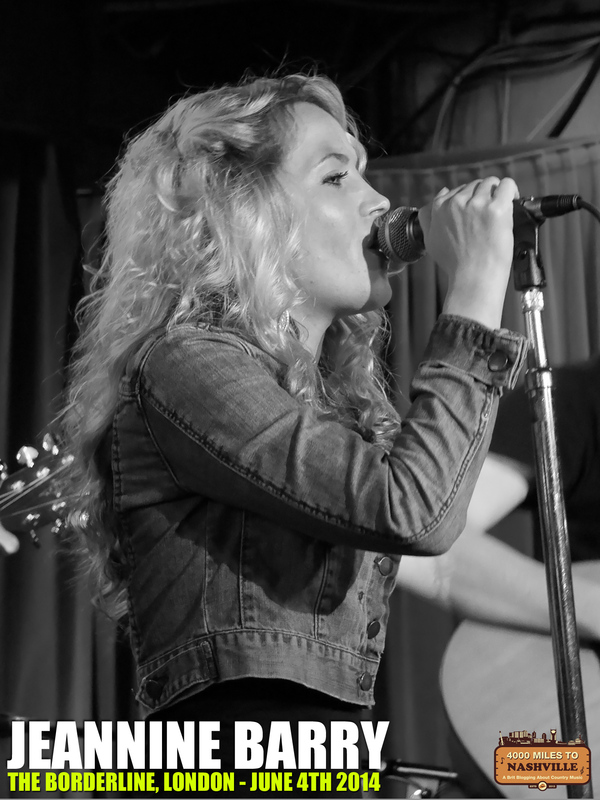 It was fellow country music blogger Kasey Stone over at Hitting All the Right Notes who recommended me this duo from Nashville, who actually used to be backing singers for Kelly Clarkson, just a few days ago. When I should have been getting ready for work I instead sat on the sofa listening to their songs on YouTube, as you do. I was struck by how well their voices complimented each other and the variety of songs that show off both their tender and fun spirits. They also get bonus marks for agreeing to sign stuff and I think I have an interview secured for some time in the future. It’s almost criminal that I’ve never listened to any Raintown – they are as synonymous with UK country music as, well, UKCountryMusic.net! Actually, I’m not sure that really works, but what the heck, a plug to a great website is always allowed. Anyway, Raintown are a duo who I have heard mentioned so many times, and even seen active myself on social media, but somehow not yet listened to. Well that’s going to change at Country 2 Country as I’m making sure I watch an act that has been recommended to me quite a few times over the last couple of weeks. So how can I include them if I’ve never heard them? I have a hunch, and I bet after you’ve heard them at the weekend we’ll both agree they deserve their place. I’ve been meaning to talk about Jessica for a few weeks now, ever since I got her EP What if, but I wanted to wait until we were closer to Country 2 Country, which we well and truly are now. Jessica has just been over in the UK supporting Boyzone, so is already known by many thousands of fans on these shores. Jessica Clemmons has a voice that makes you sit up and take notice and I’m certain she’s going to wow anyone who goes to see her play. Don’t worry if you can’t get too close, she has power to spare, but not in a shouty way as some singers reply on. Single Tonight is the stand out song on her EP which boasts 5 great songs, and is beautifully presented. I’m not just featuring Maria because she has song that includes the words I’ll be gone 4000 miles and alludes to going to Tennessee, though how incredibly apt is it that I’m talking about her on 4000 Miles to Nashville? Maria’s music is a delicious mix of country and folk, that makes me want to lie down in a field on a sunny evening and hear nothing but her songs. Just listening to songs like Keep On and My Sweet Burden and I feel a sense of calm and contentment. Maria’s music is a mood changer, and in a very positive way. So that’s my 6, but that leaves 22 acts of the 28 I’ve not talked about. If you have any you want to recommend, or you are one of those artists and think I should come see you play, then please either leave a comment or email me and I’ll do my very best to see as many as humanly possible at the weekend.